BEIJING: Maersk Line takes further steps towards simplifying the supply chains of its customers by expanding the service scope on its online platform ship.maerskline.com to cover more major trades and addressing customers'pain points. Mr. Lu, General Manager of Qingdao Haohong Intl. Freight Co., Ltd, who is a frequent user of ship.maerskline.com comments: "I am very pleased to have this online option. 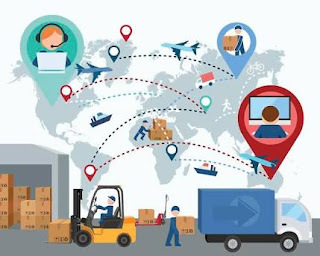 With the instantly available price as well as space and equipment commitment, I can better serve my customers and help them to better manage their supply chain." Maersk Line expanded the service scope to more trades, echoing the customers positive feedback on the platform. Booking cancellations and no shows have been a challenge for the shipping industry for years. With the new online model, Maersk Line aims to reduce downfalls through customer commitment via a no-show payment. "The mutual commitment is also a great benefit for us, as we get new market insights and have managed to reduce downfall significantly on our digital platform. This allows us to improve our planning and vessel optimisation which ultimately enhances the customer experience," concludes Silvia.